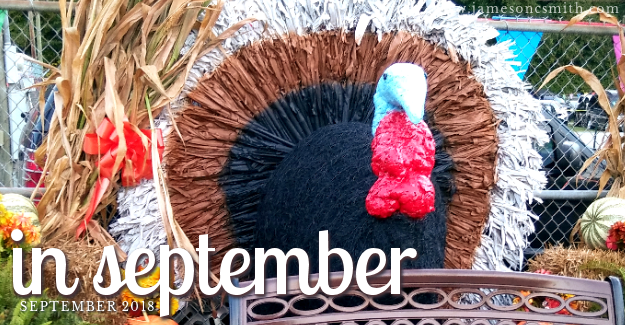 September was a busy month, not just on the blog but in life happenings! Stormy days, (slightly) cooler weather, and a little bit of traveling made for a nice month! No huge change here from the last few months. I’m still wrestling with a few particular scenes in TAD2, though I’m hoping those will start working out soon. In between those revisions, Starsong is crawling toward its last scenes! So I’ve only read one book by Nadine Brandes (Out of Time) but her Instagram account is so pretty and fun and the cover for this book is lovely and I’m looking forward to reading more of her books. This is a fun post in celebration of Hobbit Day! 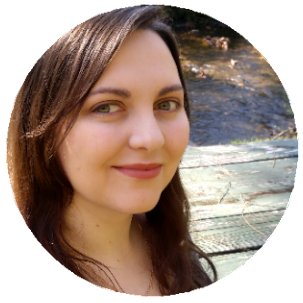 This is a really interesting and thought-provoking set of questions for worldbuilding (and it’s part of a series of great questions related to worldbuilding and characters!). Started a new Bible study journal. My previous one was a Christmas gift in 2015 and I finished it on the last day of August. This month, I switched to a journal I bought a few years ago and started a reading plan of the Gospels. Went to the county fair. My mom, aunt, and I took a trip out to Linden, Tennessee for the Remembering WWII event there, and it was AMAZING. I’ll have a blog post up soon with some pictures from the day! Autumn has arrived! Are you excited for all the fall things? Missing summer already? Let’s chat in the comments! Hope your October is a lovely one! County fairs are such fun, and road trips are great! I don't believe I've ever been over that-a-way, looking forward to the photos. :D And I LOVE hearing of your WIPs and their progress. Keep on keeping on!! I'm certainly looking forward to the cooler weather so's I can wear my sweaters and boots and blankets scarves & sip my hot chocolates, mochas, and all that other good stuff. This was only my second time going out to Linden; it was a fun trip with a lot of lovely scenery (we took a different route this time). So many adorable small towns!